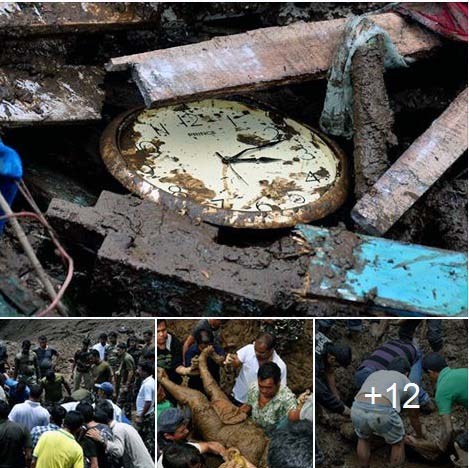 Death toll in Mirik,Darjeeling district Landslide has reached 27, 19 from Tingling Limbudhura,3 from Mahinra Gaon,3 from Thana Line Mirik,one from Toklang, one from Seeyok and one from lower Deosay dara namely Ranjit Khapangi,husband of Mrs Sushila Thapa who died due to heart attack. PM Narendra Modi says that he is "Deeply saddened by Darjeeling tragedy due to landslides. Condolences to the family of deceased." He has instructed the Minister of state for home, Kiran Raju, to immediately head to Mirik and Darjeeling region to take stock of the situation and to oversee the rescue and relief efforts.The PM also announced a compensation of Rs 2 lakh each to the deceased family from the PMNRF (Prime Minister's National Relief Fund).Darjeeling MP SS Ahluwalia is accompanying Minister Raju and will be reaching Bagdogra this evening. While, Chief Minister Mamata Banerjee is likely to visit Mirik today or tomorrow. NATIONAL DISASTER RESPONSE FORCE (NDRF) TEAM,GTA team led by Bimal Gurung, local SSB officials, Maan Ghisingh GNLF president, Mirik Health department First-Aid team and HAMI organisation from Mirik are already on the field on rescue operation. The death toll from devastating landslides across Darjeeling region have touched 35 and more than likely the toll will raise.